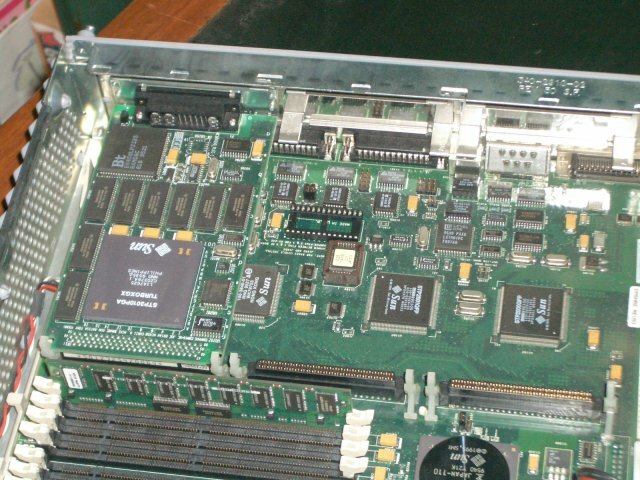 I was given my sparcstation 5 by Durham University by way of the Durham University Computer Society (thanks!). Unfortunately, the boot PROM was passworded, making it impossible to interfere with the boot process, e.g. to boot from a CD-ROM rather than hard disk. 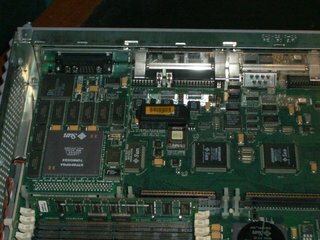 I googled around and most advice suggested you needed to buy a new boot PROM chip. I didn't fancy that much. I found a single usenet post describing a method of clearing the boot PROM but no supporting posts saying it worked. boot the machine and enter the boot PROM. Get a password prompt. Crack open the case and remove the PROM chip whilst the machine is on. Hit enter on the password prompt: since it can't confirm the password against the PROM, it lets you through. Re-sit the PROM chip in the machine, whilst turned on. password to be prompted for a new one. This technique worked fine for me. Thanks to Karl Goetz for confirming it worked for him too.